HR management is a practice that takes charge of attracting talent, hiring employees and then providing training to boost their potential. Talent management although not the same but is similar to HR. It is a new holistic approach that focuses more on retaining potential candidates on the long-term. Both human resource and talent management seems to be similar but still stand apart from each other in many aspects. Human Resource takes the responsibility to manage and help humans working as an employee in the firm. Talent Management, on the other hand, is a strategy that the HR use to attract, train and develop productive and potential employees. 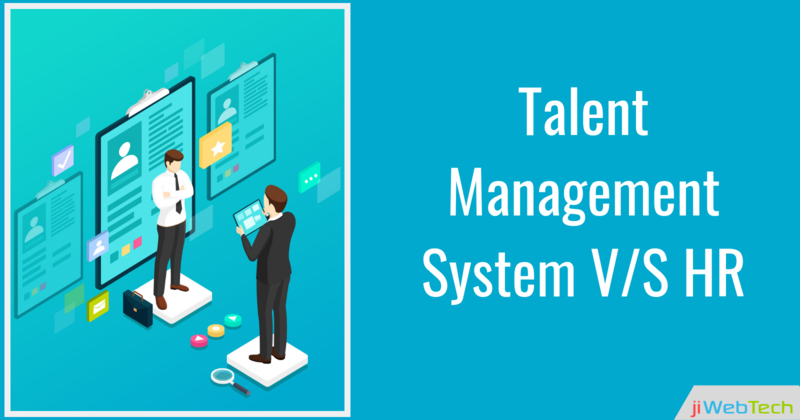 Talent management system helps the HR management system to know the activity of employees and to motivate them to bring the best out of them that help the organization to grow and succeed. The introduction of the talent management system in hiring and other management task has confused many employers that make it difficult for them to choose the one that suits their strengths. But learning the difference between the two help employer in making the right decision and in establishing clear goals for the team. Talent management is an emergence in the new job field and is actually defined as the subsection of HR through which employee is engaged with the purpose of retention. The latest introduction of team management in an organization help the employee to work more efficiently thus increasing their productivity at work. Talent management is an innovative way of hiring, training, and retention of deserving employees in an organization. It is the niche of human resource that reinvents employee engagement, and provide them with training to boost their potential and bring the best out of their work. It is the way that nurtures one potential and values the efforts that one put for the growth of the organization. This not only helps them to grow but also influence them to work and to maintain the long-run relationship with their employers. HR is considered as the elder version of talent management that represents employees as a resource and work effectively to hire and train the deserving candidates. At the end of the day, both HR and talent management brings out the same result but have different approaches to fulfill the desired goal. How HR and Talent Management Differ From Each Other? Framework: HR and talent management have a different framework and structure. HR works on hiring, training and retaining of the potential employees. The whole work is done by the team of HR only. On the other hand, the work is split and divided among the member of talent management and the company. Thus the whole company contributes towards the development of skills of the employee. In short, HR is a separate business while talent management integrates with other business processes and activities to improve one's potential. Duties: The two have different duties to fulfill. On one side where HR deals with the work like payrolls of employees, personal time-off, employee benefits, and complaints; talent management works on improving the talent of the potential employees. Implementation: HR and talent management has different ways of working. HR is a tactical task that deals with day to day management of work while talent management follows a strategic path that works on a long-term plan to achieve the required goals of an organization. Goals: Both talent management and HR work on single goal i.e to take the organization to heights but both follow different approaches to fulfill the same. HR focuses on productivity and business success while talent management focuses on progress and motivates employees to do their best. jiWebTech offers the strategic talent management software that helps in producing effective management and business results. It offers software solutions like Artificial Intelligence-based software, interview schedule management software, E-mail marketing, candidate performance history and much more. Have any queries? Get in touch.